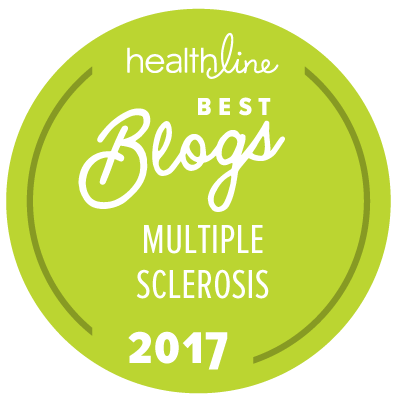 Getting diagnosed with multiple sclerosis usually takes time. For some, it takes years, even decades. For others it might take months waiting for signs of progression before a neurologist will commit to a diagnosis and start treatment. 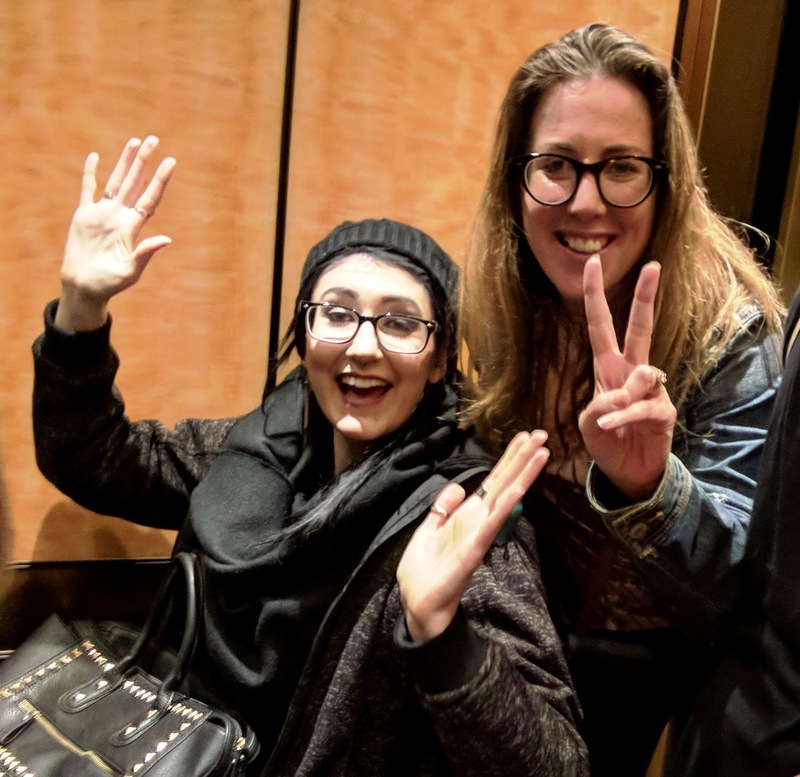 But recent research has found that the earlier treatment is started—as of this writing there are 13 approved disease-modifying treatments in the US for MS—the better. “Real-world data … confirm the effectiveness of the early treatment strategy in delaying the accumulation of irreversible disability in RRMS patients,” said the October 2017 study. Yes, “irreversible disability” is as bad as it sounds. You don’t want that. You really don’t want that. But getting in the way of prompt treatment is the fuzziness of an MS diagnosis, a methodical and laborious process of elimination. So last year when I heard IQuity (pronounced IQ-itty, rhymes with equity), a science technology company out of Nashville, TN, had developed a reliable blood test for multiple sclerosis, I was stoked … and suspect. There are many “blood test” companies out there that will diagnose you with whatever you want, just without scientific backing (“our Lyme’s Disease test is so sensitive it could detect the disease in a caterpillar”). Great! But if no medical professional recognizes the results, what good does it do you? IQuity’s RNA blood test, which relies on a number of markers and sophisticated algorithms, reports a 90+ percent accuracy rate in detecting likely MS, considerably more accurate than a standard lumbar puncture that looks for the presence of oligoclonal banding in spinal fluid. The test, IsolateMS, took over 9 years to develop using blood donated by scores of those with MS (including iConquerMS volunteers). 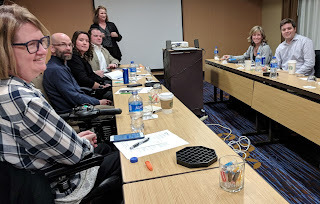 Now IQuity could have put on a dog and pony show in Music City, but instead CEO Dr. Chase Spurlock made a short presentation, answered questions, and had MS experts—from neurologists to physical therapists—speak to the future of this disease. Diagnosing this disease will never be 100% clear. But IsolateMS—in addition to the clinical exam, MRI, and other tests—could present neurologists with another valuable diagnostic tool and one that is less invasive (or, let’s be honest, freaky) than a spinal tap to look for banding. Speaking of spinal taps and bands, when it comes to more accurately diagnosing MS, one might say IQuity has turned it up to 11. If you don’t get the reference, the conversation with Nigel and Marty from This Is Spinal Tap is below. And okay, maybe IQuity has a touch more credibility than Nigel, but run with me here. Nigel Tufnel: The numbers all go to eleven. Look, right across the board, eleven, eleven, eleven and... Marty DiBergi: Oh, I see. And most amps go up to ten? Nigel Tufnel: Exactly. Marty DiBergi: Does that mean it's louder? Is it any louder? Nigel Tufnel: Well, it's one louder, isn't it? It's not ten. You see, most blokes, you know, will be playing at ten. You're on ten here, all the way up, all the way up, all the way up, you're on ten on your guitar. Where can you go from there? Where? Marty DiBergi: I don't know. Nigel Tufnel: Nowhere. Exactly. What we do is, if we need that extra push over the cliff, you know what we do? Marty DiBergi: Put it up to eleven. Nigel Tufnel: Eleven. Exactly. One louder. Marty DiBergi: Why don't you just make ten louder and make ten be the top number and make that a little louder? Nigel Tufnel: [pause] These go to eleven. 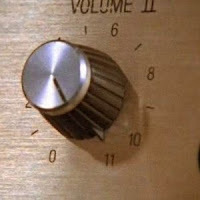 If IQuity has indeed turned it up to 11, how then can our future brothers and sisters in MS limbo get this test? (And, perhaps, one day you, as IQuity is working on another test to help determine if a DMT is working.) Talk to your provider and neuro to let them know it even exists. 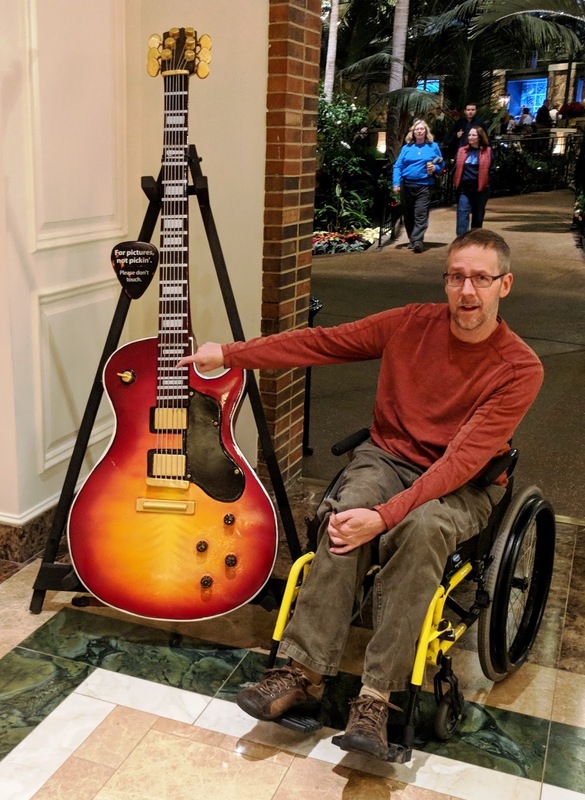 At this point, health insurance companies are reluctant to pay for the test (currently over $1,000), but with enough interested voices, that tide will change and IsolateMS will become part of the multiple sclerosis diagnosis landscape. And, God willing, any mention of spinal taps and bands, at least when it comes to MS, will gradually fade into distant memory. Fantastic work by innovative people! IQuity will save some people YEARS of struggle & questions. Only the best in attendance to handle the MSers side. Thank you! MOS, when you say only the best were in attendance, remember that Matt was in attendance (oh Matt, I kid!). Plus you weren't there, so there's that. 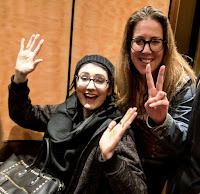 This is such a great post about the Nashville trip. You kept me laughing all weekend. Thanks for that! Kim, glad I could keep you laughing. I am an expert goofball. It was fantastic to meet you and look forward to when our paths cross again! I was a Chiropractor for 32 years. When I had my lumbar puncture, I told the Neurologist that in MY office, I did spinal SCREENING. In HIS office, it was spinal SCREAMING. Ha, a spinal tap isn't quite *that* bad. But that's funny.